I’m a little late on this post. 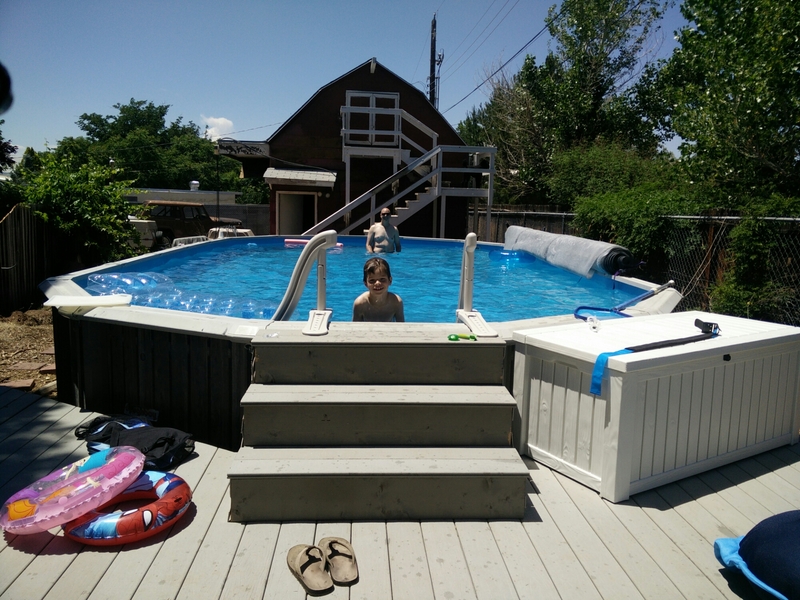 I finished the deck early this summer, so we were able to enjoy it all summer with the pool. It is a 12 by 16 deck that I wrapped around the end of the pool. I purchased the steps that are in the pool from intheswim.com. I think the deck ties into the pool very nicely. Stay tuned, my next post will detail the fence I put in around the deck. The synthetic decking went down fairly easy. My biggest problem was time. 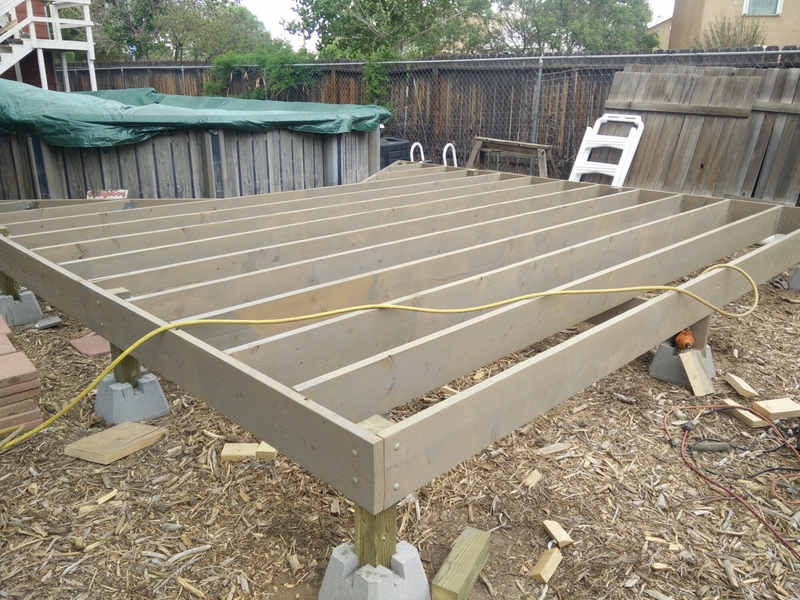 Every evening I installed two or three deck boards on the deck. The last board was about two-thirds of a deck board. Luckly, my son, Blake, was able to help me run it through a table saw. I think it came out looking pretty good. Woohoo! The structure is finally finished. 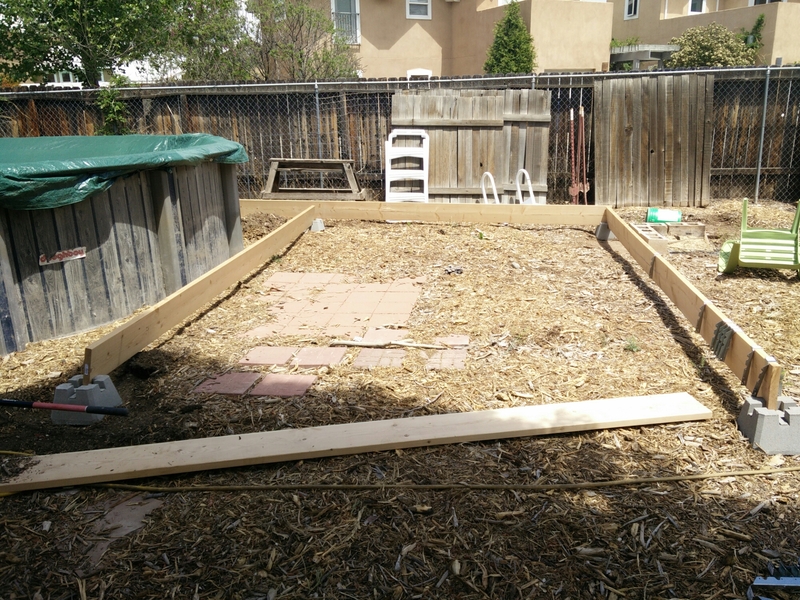 I’m using basic synthetic decking from my local big box store. I picked gray to match the pool and because it was inexpensive. At least, expensive as far as that goes. I wanted something that would last a long time and required minimal upkeep. We’ll see how this goes. 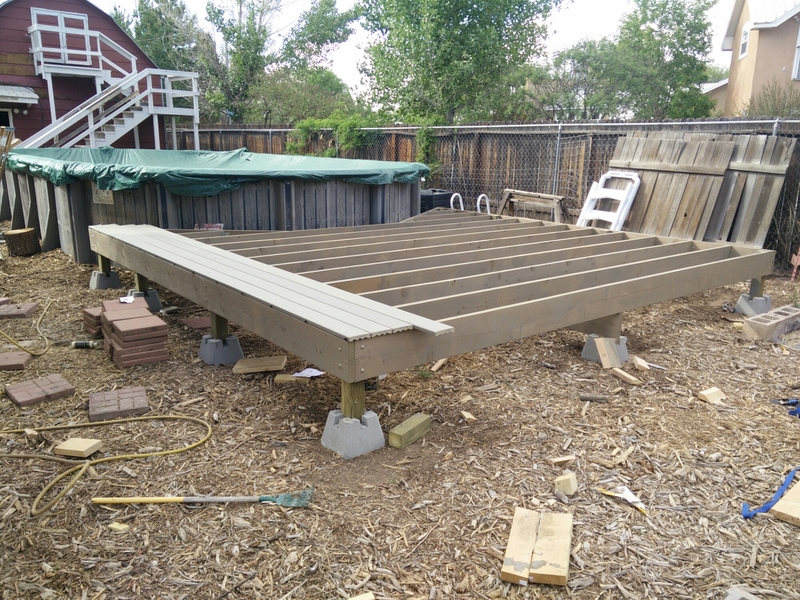 I started on the side that I would put my steps on so I would have a clean face on the deck. With practice, I found it I could play about 4 pieces a night. 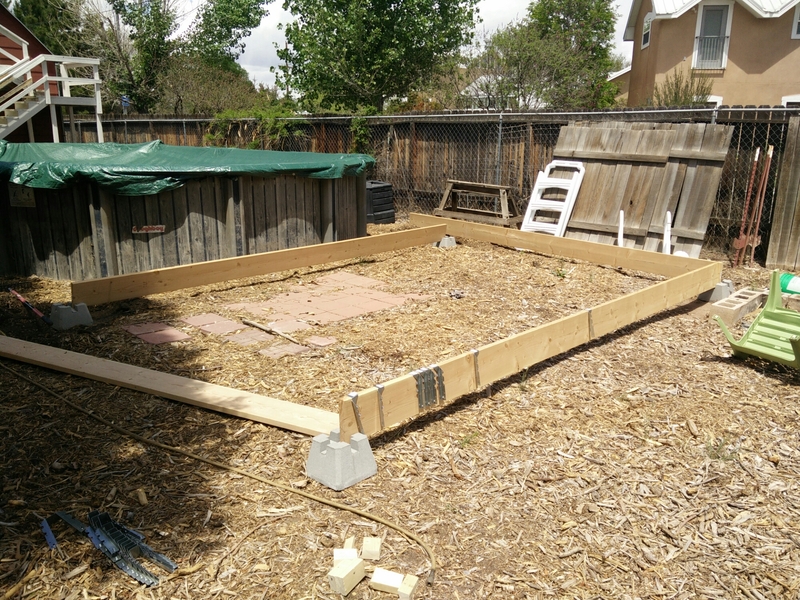 With the deck basically laid out how we wanted it, I started to build the structure. 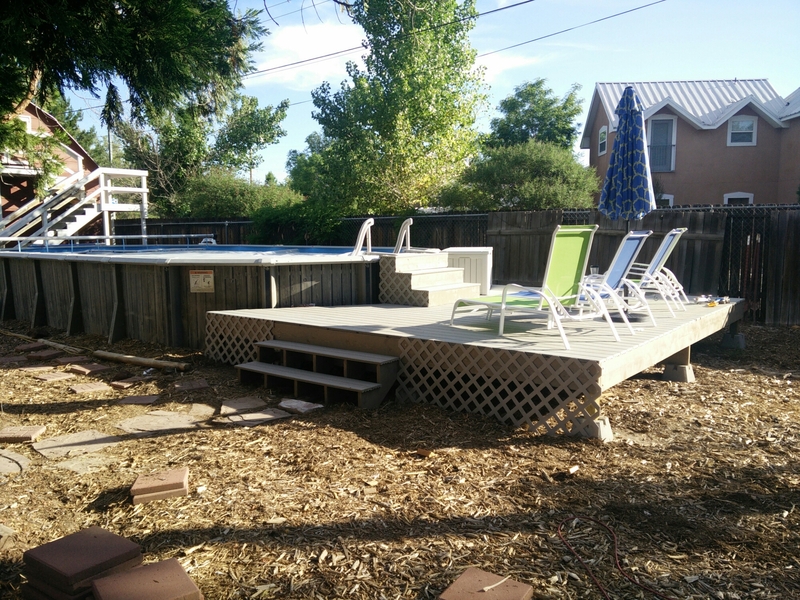 The deck is 16 x 12 with two wings added to wrap around the pool which is 16 x 32. I’m trying out deck blocks from our local Big Box store. Building the structure very easy using these blocks. 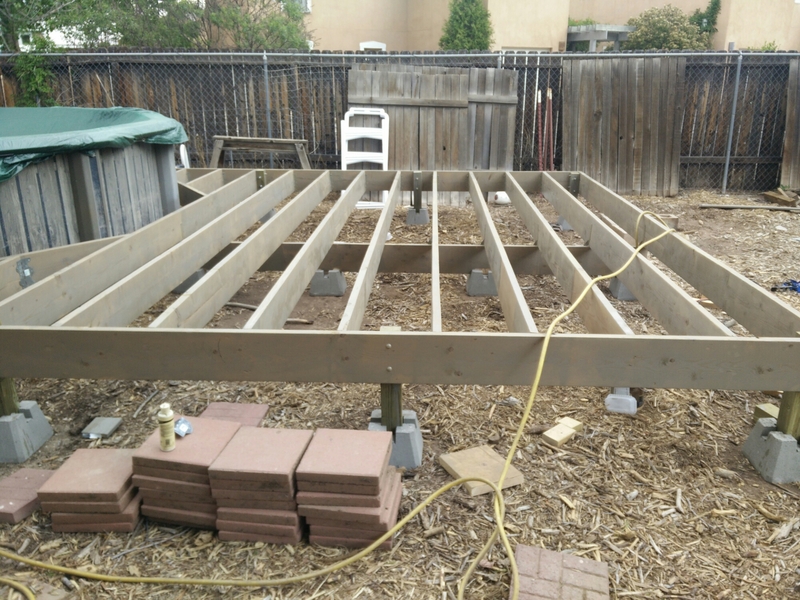 The deck is planned to be 24 inches off the ground exactly halfway up the pool. I’ll have some steps on top of the deck that lead up to the edge of the pool. and create a simple deck plan. Then it was off to my big box store to pick up some supplies.